On September 11, 2001, the value of knowing another language was probably the last thing on the minds of most Americans. But 9/11 revealed another fissure in this country’s infrastructure: the thousands of jobs going unfilled in our intelligence agencies because not enough Americans speak the language of the countries these agencies must understand. The Department of Defense has done something about it. In 2007, its National Security Agency started funding a summer program throughout the country to teach what it identified as critical-need languages. Called STARTALK, the program is the reason why some Americans now speak the 11 languages that DOD targeted, among them Russian, Korean, Arabic and Urdu. 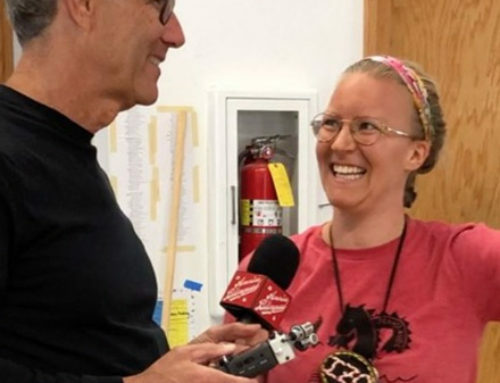 In Episode 38 of the America the Bilingual podcast, host Steve Leveen talks with teachers and students who are strengthening America’s linguistic infrastructure through STARTALK. STARTALK programs take place in schools in all 50 states. Connecticut’s Glastonbury High School, southeast of Hartford, is one of them, serving some of the K-12 students that the program welcomes. There students enroll in a four-week summer program in either Chinese or Russian, two of the STARTALK languages. Other schools offer different STARTALK languages, which also include Arabic, Dari (the Persian spoken in Afghanistan), Hindi, Korean, Persian, Portuguese, Swahili, Turkish and Urdu. 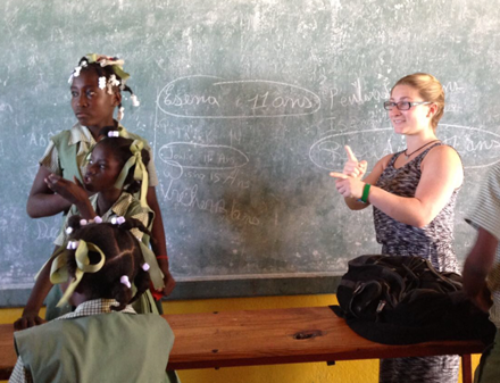 The students spend weekdays immersed in their adopted language. 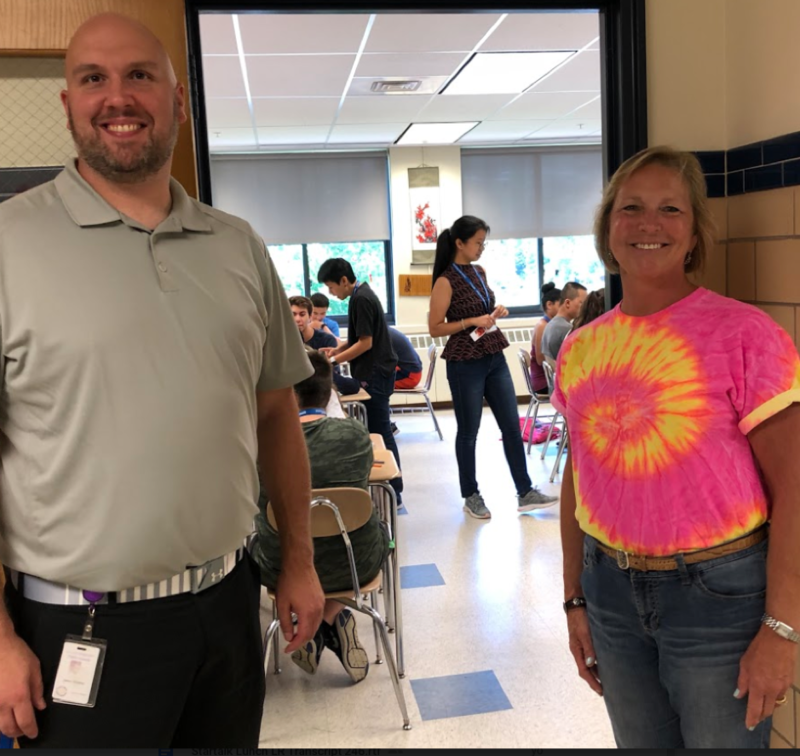 Rita Oleksak, a past president of ACTFL, and Jimmy Wildman, a Spanish teacher at Glastonbury High, run the school’s STARTALK program. They explained that STARTALK involves not just teachers teaching students; there are also teachers who teach other teachers one of the STARTALK 11. Jimmy Wildman and Rita Oleksak welcome Steve—and students—into the STARTALK Chinese program at Glastonbury High School. STARTALK-trained teachers then begin the job—and fun—of immersing their young charges in the language they’ve chosen. At Glastonbury High, all the kids learning Chinese, for instance, sit together in the school’s cafeteria. They speak their adopted language as they watch native-language videos on the overhead TVs and eat their lunch of Chinese food. The kids in each language group will make a movie in that language before their course is over, acting out one of the folk tales they’ve learned. There are also field trips. The students learning Chinese took a trip to Flushing, New York, which has a large Chinese population. Ten-year-old Bella Wiedman is one of the students in Glastonbury’s STARTALK Chinese program. She says her initial motivation was to learn how to order Chinese takeout in Chinese. She’s mastered that. Bella joins the more than 56,000 students who have gone through STARTALK programs, which has also trained some 12,000 teachers. 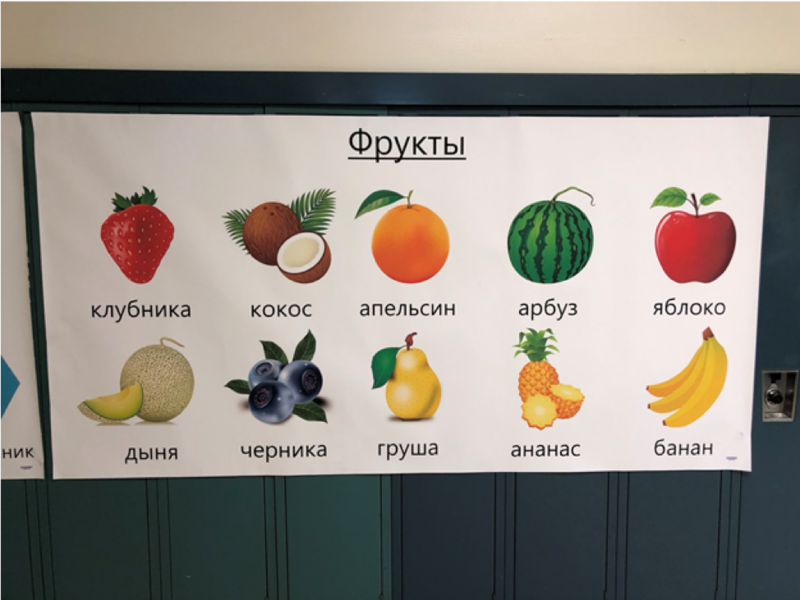 Students in the STARTALK Russian program at Glastonbury High get a taste of how their fruits look in their new language and alphabet. STARTALK is a 21st-century example of how a national crisis can provide the impetus for America to be better schooled in other languages. The 20th century had its own version. In the late 1950s, the Soviet’s launch of Sputnik preempted America’s entry into space and threatened to win the race for global supremacy. This was quickly followed by the publication of a bestselling novel—now a cult classic—called The Ugly American. 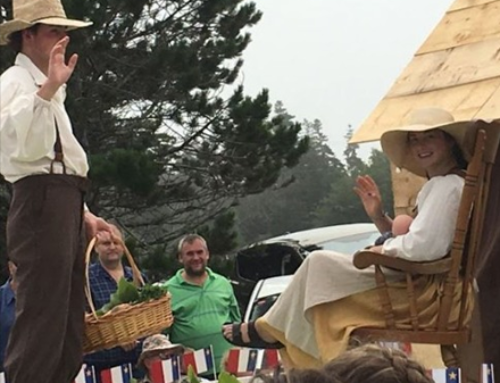 It foretold a world where Americans were losing the race, largely because they didn’t learn the languages, and the cultures, of the countries they were in. The Soviets, however, did. 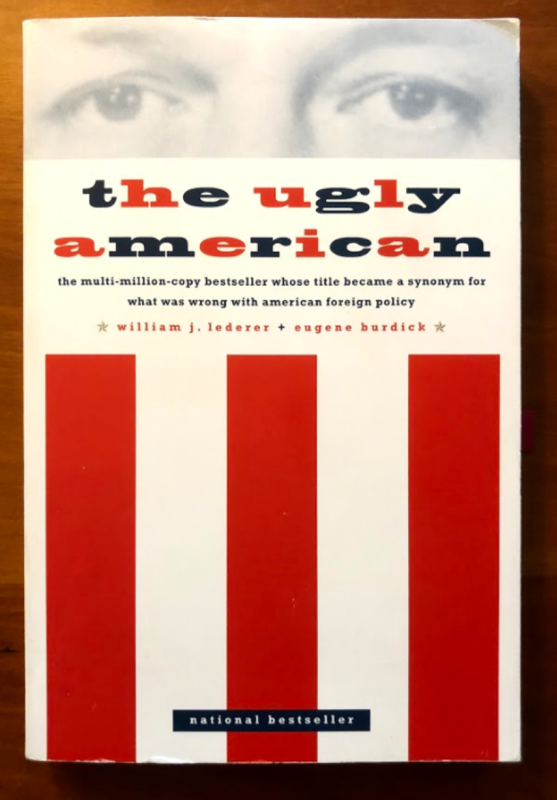 The Ugly American, first published in 1958, was fiction that chided Americans for being insular in their understanding of other cultures. The book made an impression on a young U.S. Senator who knew firsthand that there was a world beyond America’s wide borders: he’d fought in the Pacific, lived in Europe and traveled to South America. A few years later, John F. Kennedy would cite that book (which he gave to every member of the Senate) when, as President, he established the Peace Corps. The Peace Corps lives on. Will STARTALK? “As long as it’s important to the government and world peace, then I think it’s okay,” Rita says of the program’s future. And while it’s DOD-funded, it’s as much about waging peace as the Peace Corps, elevating Americans’ understanding of other cultures and their languages. Not a bad way to spend your summer vacation. Thank you to the other team members in the STARTALK program at Glastonbury High School who hosted Steve during his visit: Janice Dowd, Daisy Leone and Nina Vayahanskay, along with student Victor Htut. Thanks also go to Thomas Sauer, Senior Associate for Professional Development, National Foreign Language Center, for providing us background on STARTALK and sharing the program’s white paper, “STARTALK 2030: A New Paradigm for World Language Education,” National Foreign Language Center, University of Maryland, College Park, Md. (2018). 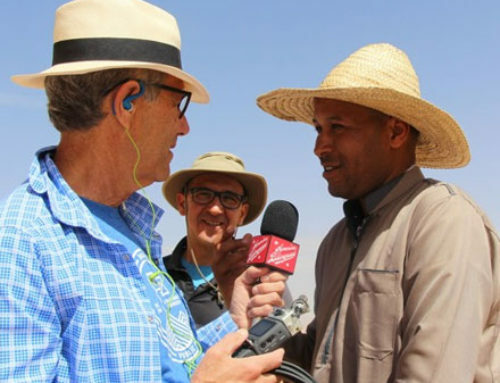 The America the Bilingual podcast is part of the Lead with Languages campaign of ACTFL — The American Council on the Teaching of Foreign Languages. ACTFL’s 2017 Teacher of the Year, Ying Jin, teaches at the STARTALK program at Stanford University. This episode was written by Steve Leveen, the founder of America the Bilingual, and edited by Fernando Hernández, who also does our sound design and mixing. 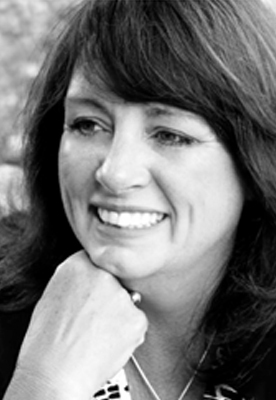 Mim Harrison, the editorial and brand director for the America the Bilingual project, wrote the episode notes. Graphic arts are created by Carlos Plaza Design Studio. Caroline Doughty is our social media maven. Beckie Rankin is the podcast’s associate producer. Daruma Tech powers the website. Meet the team—including our bark-lingual mascot, Chet—here.